In 2008 Unsound Festival has changed my life by connecting me to other artists (Pinch, Artem Atrashevsky) and giving a chance not only to show my own music, but also to (re)present the Belarusian music culture abroad. 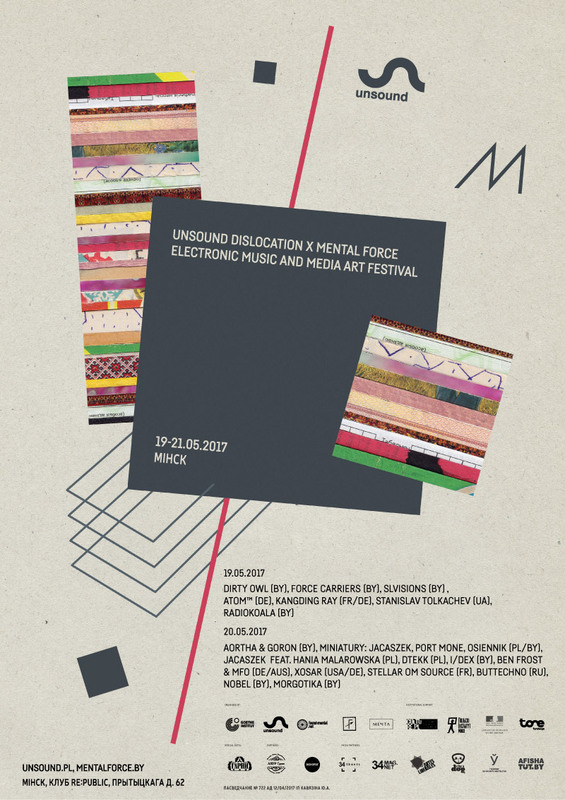 So i’m glad to reciprocate by co-organizing the Unsound Dislocation X Mental Force festival in Minsk together with my Mental Force Festival colleagues. And though festival organizer work eats half of my brain, i’m going to play there too: together with Alexei Usinovich (Apex Sphere, S4DS) and Volha Salakheyeva (VJ Solar Olga) we’re preparing a debut collab performance as Force Carriers. The project is dedicated to the great Belarusian artist, thinker and ‘eternal wanderer’ Jazep Drazdovič (1888 - 1954). Гэты запіс апублікаваны Чацвер, Красавік 20, 2017 в 2:05 am	. Катэгорыі: news, belarusian, akcyja. Вы можаце сачыць за каментарамі пры дапамозе RSS 2.0 стужкі. Каментары і пінгі забаронены.